Though we surely weren't alone, we here at Dialogue Inc like to think that we were especially bummed when it was announced that high flying Belgian nudisco duo Aeroplane was breaking up. 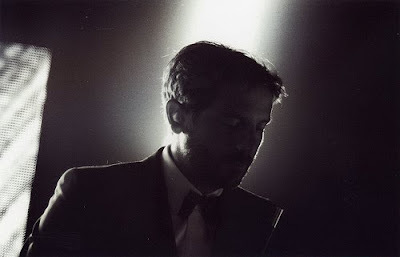 Stephen Fasano is an early supporter of what we do here, even contributing a DJ mix for us early on in our podcast series (Check that out here: Dialogue Incorporated Radio #3). And for Aeroplane's only Chicago date ever, they joined us at Smart Bar. When the news hit, our prediction was that it would ultimately lead to two Aeroplanes. And so far, Fasano's solo work as the Magician is proving that that's true. He's got a number of projects in the works with various collaborators—his first EP with guest vocalist Jeppe is due out this spring and he's also working with Yuksek on a project called Peter and the Wolf.